British drum and bass duo Sigma – composed of Joseph “Joe” Lenzie and Cameron “Cam” Edwards – have recorded new music with Eyelar Mirzazadeh and Jean Baptiste Kouame for their upcoming sophomore album. Meanwhile, Kouame’s songwriting resume boasts works with Little Mix (“F.U.”), Kelis (“Scream”), AlunaGeorge (“Full Swing”), Rihanna (“Woo”), Nikki Minaj (“The Boys”), Madonna (“I’m a Sinner”), Rudimental (“Foreign World”), Leah McFall (“Home”), DJ Mustard (“Whole Lotta Lovin’”), Bonnie McKee (“Broken Record”), Laura Izibor (“Carousel”) and Sevyn Streeter (“It Won’t Stop”). Sigma’s second studio collection, on the other hand, is expected to arrive later this year via Independent UK dance record label, 3BEAT Music. The still-untitled project reportedly delivers further songwriting contributions from Sam Romans, Jamie Hartman, Cass Lowe, Paddy Byrne, Ollie Green, Shola Ama, Ed Drewett, Bryn Christopher, Chelcee Grimes, Jimmy Napes, Arrow Benjamin, Ina Wroldsen, Jamie Scott, Talay Riley, Chiara Hunter, Ed Thomas, Josh Record, Dantae Johnson, Max McElligott, and Jonny Harris. Sigma’s debut album, 2015’s “Life,” peaked to number two on the UK Dance Albums Chart and spawned guest apperances from Jetta John-Hartley (“Slow Down”), Rita Ora (“Coming Home”), Labrinth (“Higher”), Ella Henderson (“Glitterball”) and Paloma Faith (“Changing”). Watch the music video for “Find Me” below. 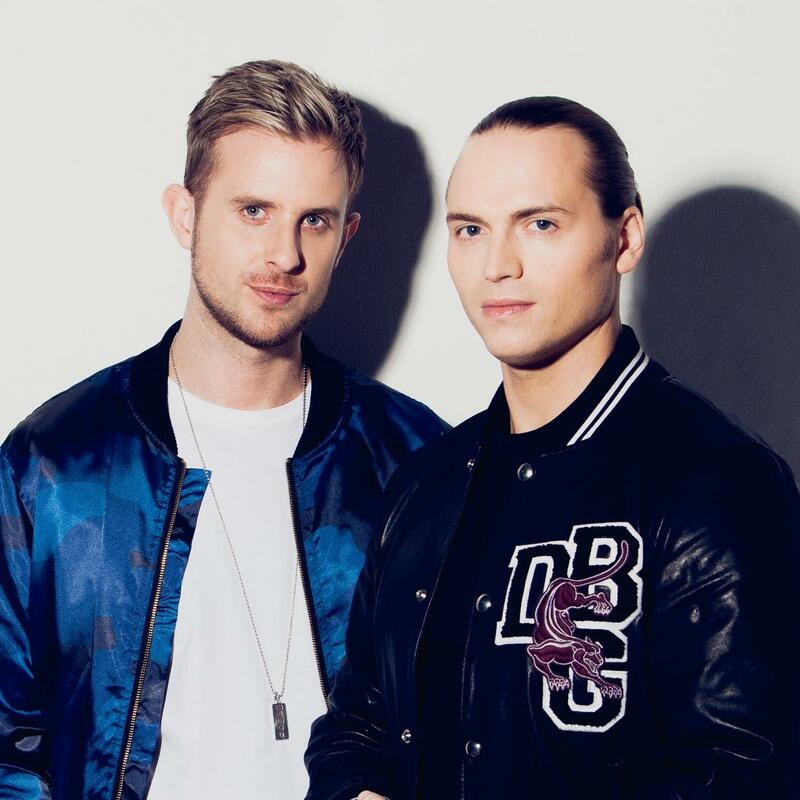 British drum and bass duo Sigma – composed of Joseph “Joe” Lenzie and Cameron “Cam” Edwards – have teamed up with singer-songwriter Talay Riley for a new collaboration. Riley’s current single “Not Enough” – which was co-written by Kaveh Rastegar and produced by Andreas “Axident” Schuller – is now available via iTunes, Apple Music, Amazon, Google Play, Tidal and all other digital streaming platforms. On the songwriting front, he has contributed to the next projects by Craig David [Sony Music], Fleur East [Syco], Jess Glynne [Atlantic], Zendaya [Republic], Keri Hilson [Zone 4 / Mosley Music] and Tamera Foster [Syco]. His previous credits include “Afterglow” (Wilkinson), “Last Dance” (Dua Lipa), “Levels” (Nick Jonas), “All the Way Down” (Kelela), “In My City” (Ellie Goulding) and “A Breath Away” (Clams Casino). Meanwhile, Sigma are expected to release their sophomore album – featuring singles “Cry” and “Find Me” – in 2017 via 3BEAT Music. In addition to Camille Purcell and TMS, the still-untitled project reportedly delivers alliances with Sam Romans, Digital Farm Animals, Ed Drewett, Bryn Christopher, Jamie Scott, and Ed Thomas. Sigma’s debut studio collection, 2015’s “Life,” peaked to number two on the UK Dance Albums Chart and spawned guest apperances from Jetta (“Slow Down”), Rita Ora (“Coming Home”) and Paloma Faith (“Changing”). Listen to the audio clip for “Not Enough” below. SIGMA have announced the details for their new single. The British drum and bass duo – consisting of Cameron Edwards and Joe Lenzie – christened “Find Me” as the first promotional cut from their upcoming sophomore album under independent UK dance record label, 3Beat Music. “Find Me” – which features guest vocals from singer-songwriter Birdy – was co-written by Camille Purcell, whose other credits include Little Mix (“Shout Out to My Ex”), Olly Murs (“You Don’t Know Love”) and Fleur East (“Sax”). Moreover, TMS – who also teamed up with Birdy on “Give Up” and “Wild Horses” – have contributed to the next projects by Raye, Era Istrefi, Imani Williams, Emeli Sande, Liv Dawson, Paloma Faith, Dua Lipa, and Ella Henderson. 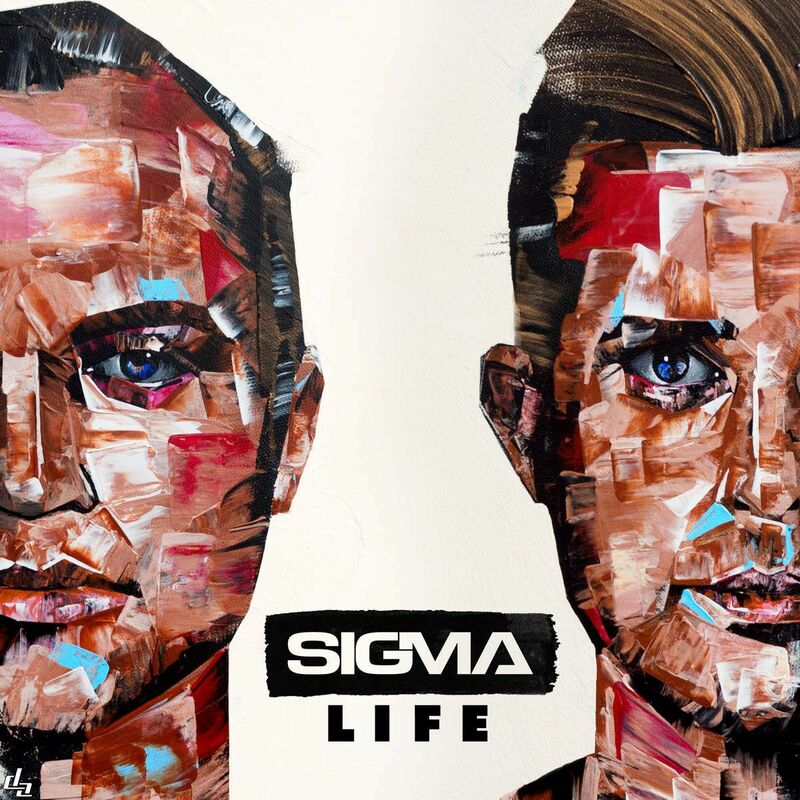 Other musicians backing SIGMA on the follow-up to 2015’s “Life” are Sam Romans (AlunaGeorge), Ed Drewett (Louisa Johnson), Jamie Scott (Adele), Digital Farm Animals (Liam Payne) and Ed Thomas (Sinead Harnett). Watch the music video for “Wild Horses” below. Sam Romans has hinted at a new collaboration with Sigma. “#Day2 with @sigmahq,” the British singer-songwriter-producer posted to his Instagram profile on Tuesday (February 09, 2016). Romans previously wrote songs for Mary J. Blige (“Doubt”), Kwabs (“Father Figure”), Melissa Steel (“You Love Me?”), AlunaGeorge (“I’m in Control”), Disclosure (“Jaded”), and Naughty Boy (“Home”). The Roc Nation signee’s resume includes further works with Rudimental [Asylum], Birdy [Atlantic], John Legend [Columbia], Ella Henderson [Syco], Alicia Keys [RCA], Lapsley [XL], Olly Murs [Epic], and Clean Bandit [Atlantic]. Meanwhile, Sigma – composed of Joe Lenzie and Cameron Edwards – are expected to release new music later this year through 3Beat Music. Their first studio collection “Life” – featuring singles “Coming Home,” “Changing,” “Redemption,” “Nobody to Love,” “Glitterball” and “Higher” – is now available for download via iTunes and all other online outlets. That collection peaked to number seven on the UK Singles Chart and spawned contributions from TMS (Sinead Harnett), Wayne Hector (Jess Glynne), Fraser T. Smith (Adele), Ina Wroldsen (Little Mix), and Kid Harpoon (Florence Welch). Watch the music video for “Coming Home” below. Sigma have previewed their debut album online. The mini-mix for “Life” has been posted to 3 Beat’s YouTube channel on Wednesday (December 02, 2015). Current single “Coming Home” – featuring Rita Ora – was co-written by Wayne Hector (One Direction, Gabrielle Aplin) and co-produced by Tom Barnes, Peter Kelleher, and Ben Kohn of TMS (Sinead Harnett, Years & Years). “Life” delivers further guest appearances from Jetta (“Slow Down”), Labrinth (“Higher”), Ella Henderson (“Glitterball”), Paloma Faith (“Changing”), Ella Eyre (“Good Times”) and Ina Wroldsen (“Feels Like Home”). 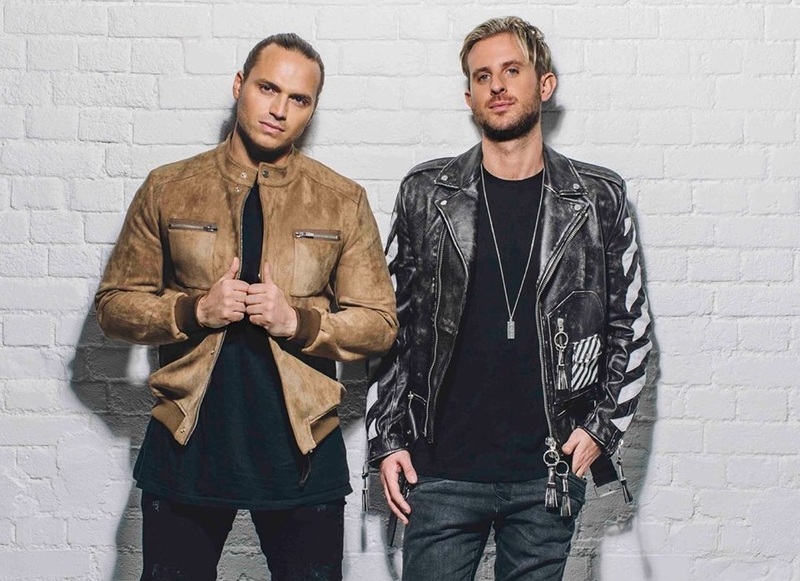 On the songwriting front, Sigma – composed of Joe Lenzie and Cameron Edwards – also teamed up with Fraser T. Smith (Adele), Kid Harpoon (James Bay), Jim Eliot (Leona Lewis) and Mima Stilwell (Kylie Minogue). Watch the mini-mix for “Life” below. Sigma have unveil the music video for their new single online. The visual clip for “Home” – featuring Rita Ora – has been posted the 3 Beat’s YouTube channel on Friday (November 05, 2015). Video treatment was handled by Georgia Hudson, whose resume includes further works with Ella Eyre (“Deeper”), Ellie Goulding (“Love Me Like You Do”), Glass Animals (“Hazy”) and Charlotte OC (“If My House Was Burning”). As mentioned in earlier posts, Sigma – consisting of members Cameron Edward and Joe Lenzie – are scheduled to release their first studio collection “Life” on December 4 through 3 Beat Music. The highly-anticipated project boasts further guest appearances from Jetta (“Slow Down”), Labrinth (“Higher”), Paloma Faith (“Changing”), Jacob Banks (“Redemption”) and Ella Henderson (“Glitterball). It also delivers songwriting contributions from Fraser T. Smith (Fleur East), Wayne Hector (One Direction), Jim Eliot (Olly Murs), Mima Stilwell (Will Young), Kid Harpoon (Calvin Harris) and Ina Wroldsen (Demi Lovato). Sigma have revealed the details for their upcoming debut album. The British drum and bass duo – composed of Cameron Edwards and Joe Lenzie – will release “Life” on December 4 through 3 Beat Music. “Life” delivers guest vocals from Paloma Faith (“Changing”), Labrinth (“Higher”), Ella Henderson (“Glitterball”), Jetta (“Slow Down”), Maverick Sabre (“Broken Promises”), Shakka (“Lost Away”) and Jacob Banks (“Redemption”). The collection also boasts alliances with Fraser T. Smith (Adele), Ina Wroldsen (Demi Lovato), Jim Eliot (Olly Murs), Mima Stilwell (Ellie Goulding), Kid Harpoon (Jessie Ware), Wayne Hector (Jess Glynne) and TMS (Leona Lewis). Peep the tracklisting for “Life” below.